The NFL 2016 playoffs are about to begin, who is going to win the Superbowl L ? Only 12 teams are qualified for the NSF 2016 playoffs. These teams are still playing to win the Superbowl L. They will meet to be the conference champions and finally only two teams will fight each other during the Superbowl. On January 9th, the Pittsburgh Steelers and the Cincinnati Bengals will meet as well as the Kansas City cheifs and the Houston Texans. Then the next day, on January 10th, the Seattle Seahawks and the Minnesota Viking will fight each other. Same thing for the Green Bay Packers and Washington. In the AFC division, the winner between Pittsburgh and Cincinnati will face the New England Patriots on January 16th. The winner of the game Kansas / Houston will then challenge the Denver Broncos on January 17th. In the NFC division, the winner between Seattle and Minnesota will face the Arizona Cardinals on January 16th whereas the winner of the game Green Bay/Washington will challenge the Carolina Panthers on January 17th. Then, the AFC and NSF division finals will take place on January 24th before the Superbowl L, scheduled on February 7th. The New Englang Patriot won the superbowl XLIX in 2015 are this year of the favorite teams to win the NFL title. The Seattle Seahawks, winner of the Superbowl XLVIII and defeated during the Superbowl XLIX, suffered this year to be qualified for the playoffs. So who is going to win the Superbowl L and be the 2016 champion ? Vote in our poll below. 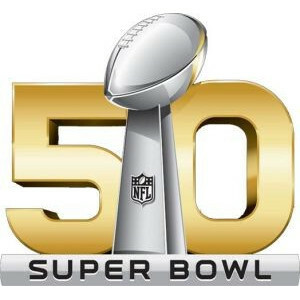 The NFL 2016 playoffs are about to begin, who is going to win the superbowl 50 ? This entry was posted in NFL and tagged 50, NFL, Superbowl. Bookmark the permalink.